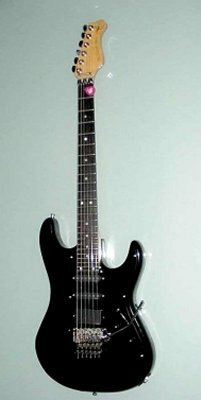 Black, swapash body, ebony fretboard, birdseye maple neck. Chrome hardware. 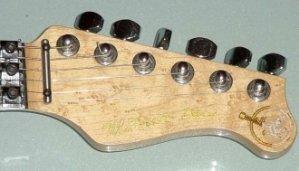 Floyd Rose bridge, nut, VA machine heads. 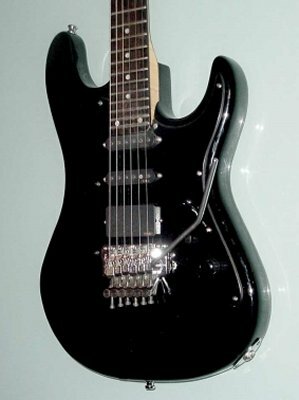 Pick-up set is EMG SV/SV/89. I'm the one and only original owner en wil be the rest of my life, UNLESS THE CURRENT OWNER OF MY PREVIOUSLY OWNED LC CUSTOM DOESN'T SHOW UP! Bought this axe to make the pain of selling the LC ustom less, and she really did! I use it in a drop D tuning, and man, she really ROCKS YOUR SOCKS OFF!